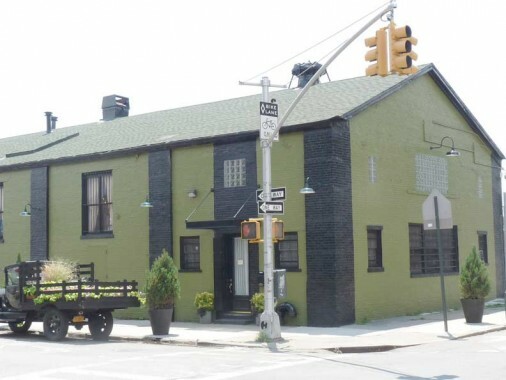 Rustic modern, industrial chic…whatever you call it, the Green Building’s main room is gorgeous. Featuring original brick walls, soaring exposed beam ceilings, four beautiful chandeliers and a roll-up gate that can be kept open on warm nights … A hidden door located within the coat check leads to two beautifully-appointed, 1920s-inspired private rooms which can be used as a talent holding area, bridal dressing room or your very own VIP bar. 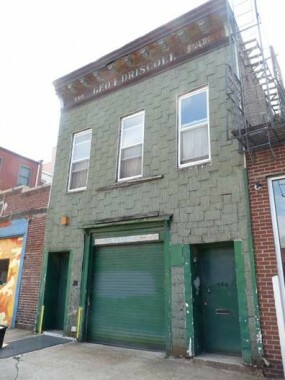 Brownstoner says the building dates only to 1931. Name that truck! 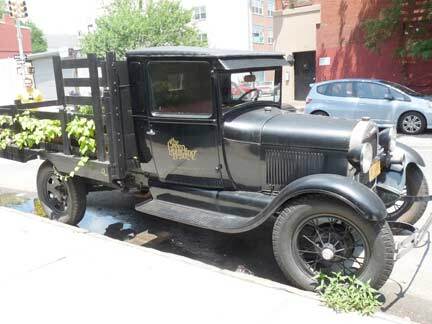 Parked outside was what is apparently The Green Building’s delivery vehicle, a vintage Ford truck. 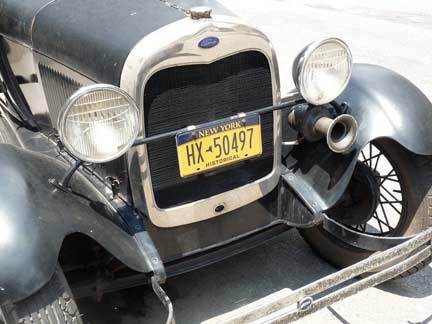 A 1928 according to the registration sticker. 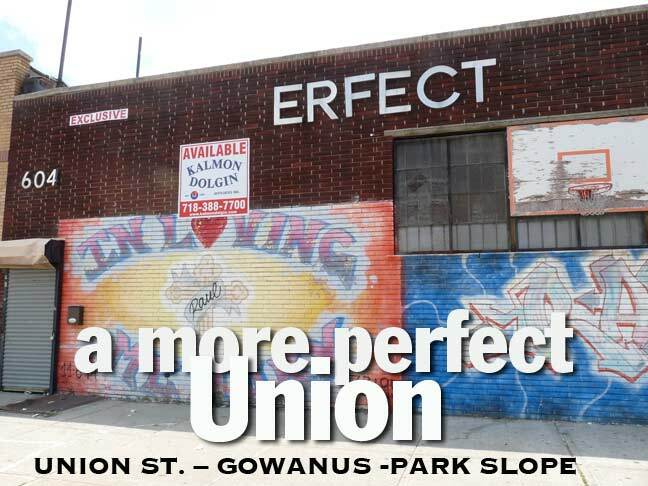 The Union Place Inc. 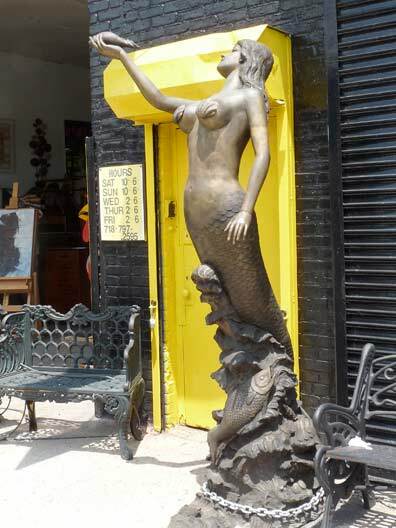 Warehouse Outlet, on Union between Bond Street and the Gowanus Canal, features several prime pieces of kitsch available, such as cherub-festooned fountains, arts and crafts roosters, and brass mermaids. 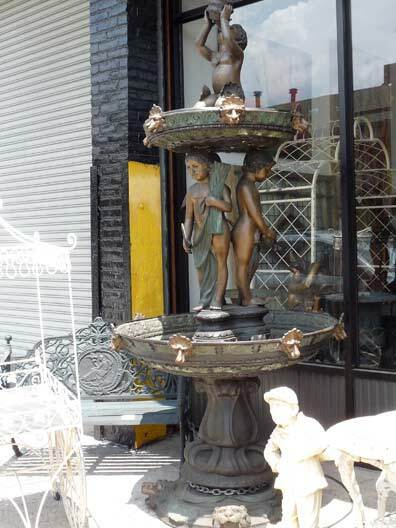 ForgottenFan Carol Gardens: I think the garden statuary is not from the Warehouse outlet, which always sold clothes. 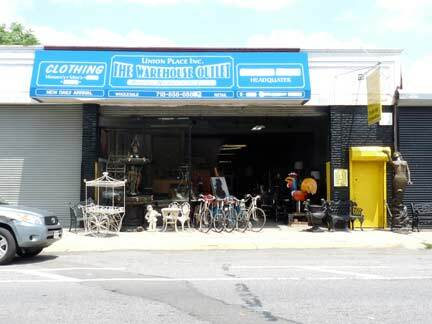 I’m pretty sure there is a branch of Horseman’s Antiques (Atlantic Ave and NJ) that opened up behind the yellow door on the right. The Union Street Drawbridge, the northernmost of the five vehicular bridges that cross Gowanus Canal, is classified by the Department of Transportation as a double leaf Scherzer rolling leaf bascule bridge. It is 109 feet long, 56 feet wide and first opened March 4, 1905. 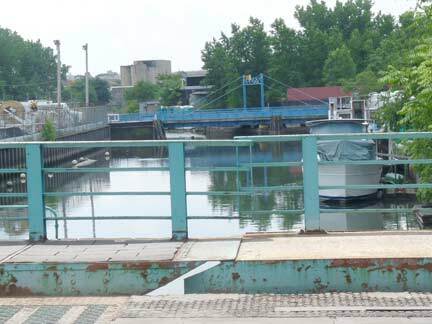 The bridge seems rickety and fragile — it is scheduled for a major renovation in 2017, but it seems as if the work should begin before that. 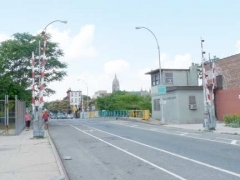 Its twin bridge, the 3rd Street over the Gowanus, opened a few weeks later in 1905. This bridge seems to lose out a little in Brooklyn lore to the Carroll Street Bridge, a rare retractile bridge that dates to 1889. 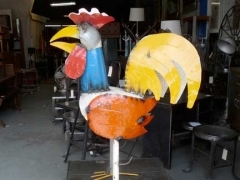 It can be seen in the last photo. 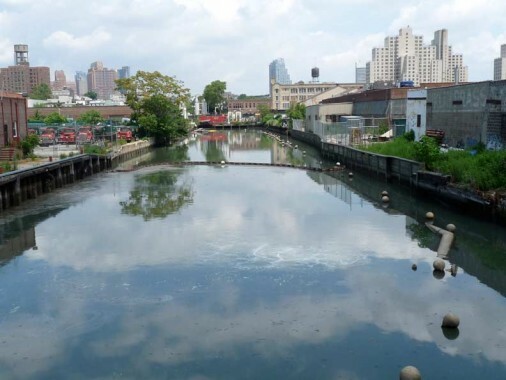 It’s hard to imagine it, as the Gowanus Canal has not been a fresh creek for about a century and a half, but it was originally a natural inlet from Upper New York Bay that seeped into what was South Brooklyn and is now Cobble Hill, with narrow tributaries and rivulets that fingered their way into surrounding areas. 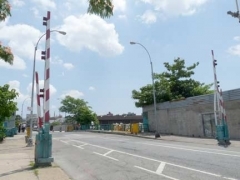 That all changed when developer Edwin Litchfield formed the Brooklyn Improvement Company in the 1850s, charged with the task of dredging the creek, straightening it and making it navigable as a canal for, at first, tall masted sailing ships, and later ironclad industrial vessels. 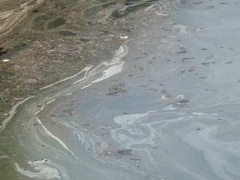 In the 2000s, the flush pump (which was first built in the 1910s) was repaired and the Canal began to become somewhat cleaner and clearer, with some wildlife returning to it, but by 2011 the pump was broken again and the Canal had reverted to its foetid state. 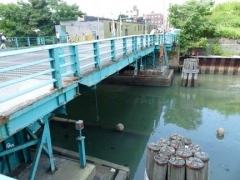 In the go-go real estate boom of the early part of the decade, there were grand plans to build expensive apartment buildings along the canal and create a San Antonio-like Gowanus Canal riverwalk. 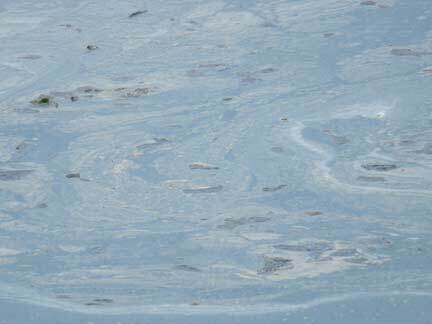 With the economy slumping for three years as of 2011, the plans will have to wait, though the flush pump is under repair again. There are worlds within worlds of miasmic ichor that meet the nostrils of intrepid Union Street Bridge crossers. It’s unwise to lean too far over the railings — the shudder of a passing truck might catapult a luckless walker into the Canal, and the penalty would be certain death and no guarantee of a recognizable corpse. 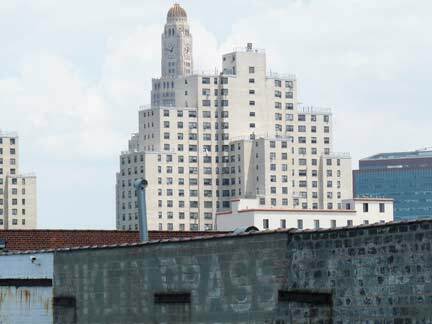 Meanwhile, looming in the skyline is the Wyckoff Houses and behind them, One Hanson Place, now Brooklyn’s 2nd-tallest building, the former Williamsburg Bank Tower. 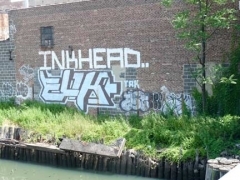 In the foreground is a painted sign for the Conklin Brass & Copper Company (see the Gowanus Canal link above).Inkhead is a well-known graffitist whose tags have been seen throughout NYC. 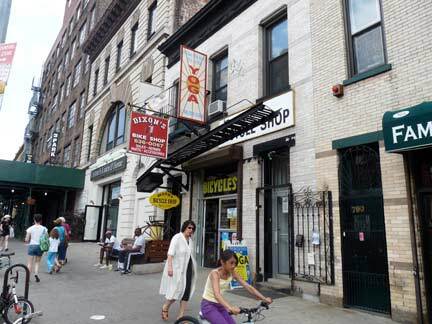 When Brooklyn worked. 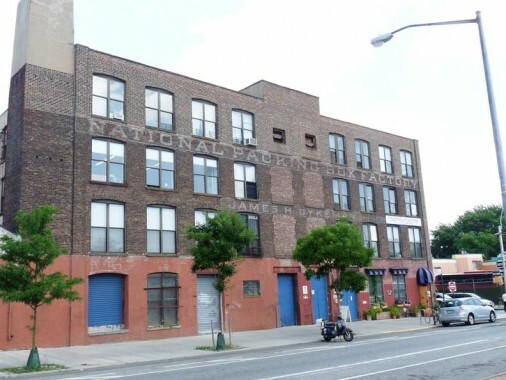 National Packing Box Factory, Union Street and Nevins. The painted lettering has held up well for over a century. 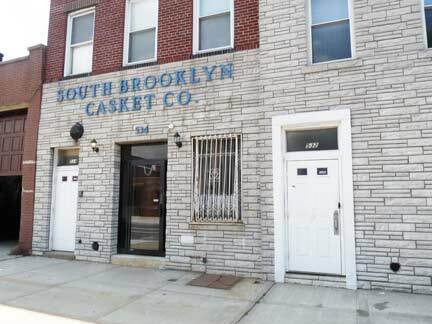 On Union Street there’s a sort of subgenre of the funerary industry. 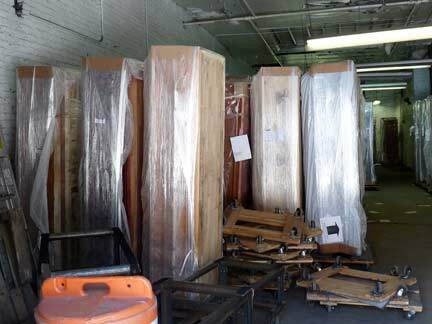 We will all spend an awfully long time in caskets, and they have to come from somewhere — I’m glad Brooklyn has casket manufacturers (I saw a faded painted ad for another one on Rockwell Place, but that one had long vanished). Awhile ago during one of my interregnums between jobs — they come frequently — I think this was 2000 — I scored a temp job typesetting those glossy prayer cards that you get at wakes. I didn’t find it fulfilling and left after a short time. That was on Union Street by the canal, too. 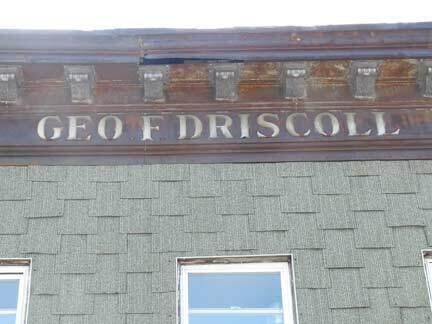 I wonder if the long-vanished George Driscoll knew that, by chance, his name would still be emblazoned over the building where his business was located a century or more later. 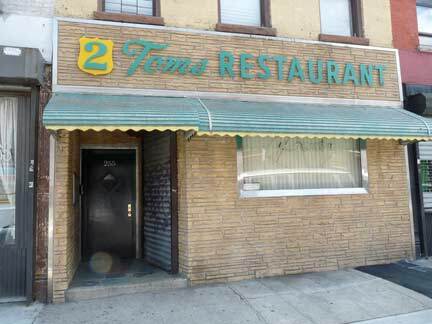 The 2 Toms restaurant still has exactly the same facade it did when I rode by on the (now nonexistent) B37 bus in the 1960s and 1970s. 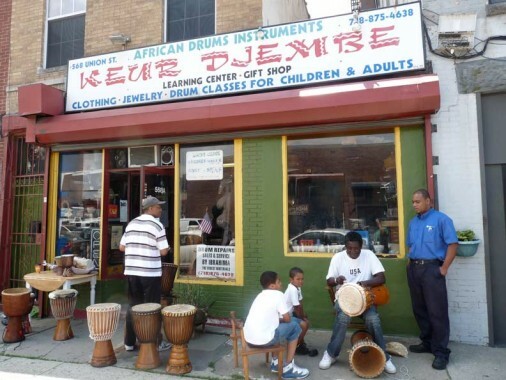 Fresh from thoughts of the inevitable sepulchral abyss, my ears were then accosted by an insistent pounding as I crossed Third Avenue, and confirming the well-known premise that Anything Can Happen in Forgotten NY, I had stumbled on one of Brooklyn’s few retailers of African drums. 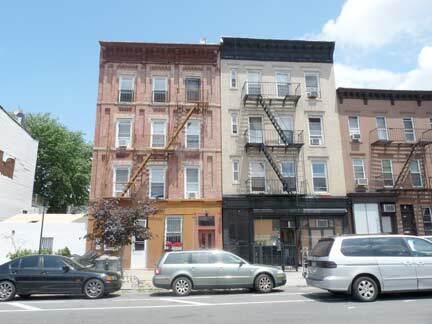 As Union Street enters Park Slope it begins to change character from manufacturing, or former manufacturing, toward residential. 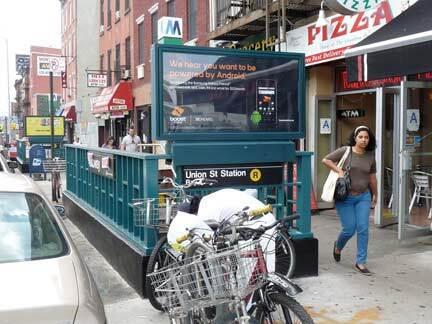 The Union Street BMT station opened on 4th Avenue in 1915, and, along with the now-vanished 5th avenue El (closed in 1940) served the north side of Park Slope. 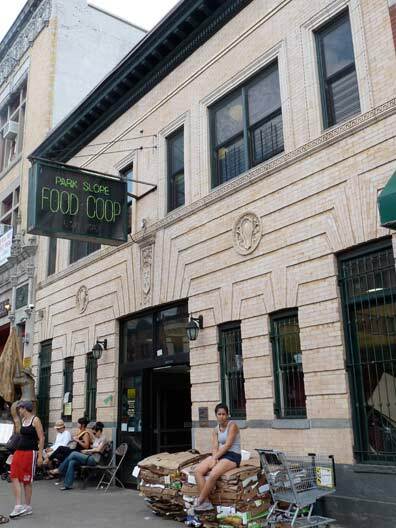 For decades, 4th Avenue was dominated by gas stations and auto repair shops (and the occasional apartment building) but in the go-go early 2000s, a number of expensive high-rise apartment buildings sprang up, as well as restaurants and bars. 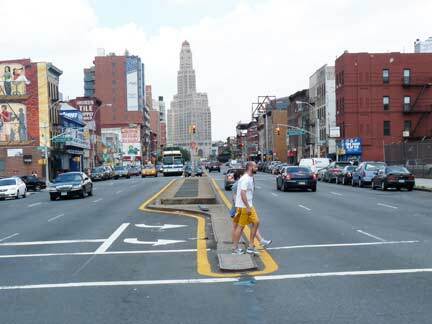 For much of its length 4th Avenue has the subway grate at the center median. 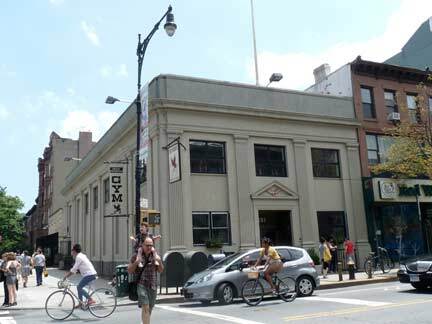 Approaching its northern end at Flatbush Avenue, the eternal, priapic Williamsburg Bank Building, or One Hanson Place, looms into view. The building also appears to be flipping the bird to the poor punters who can’t afford apartments in it. 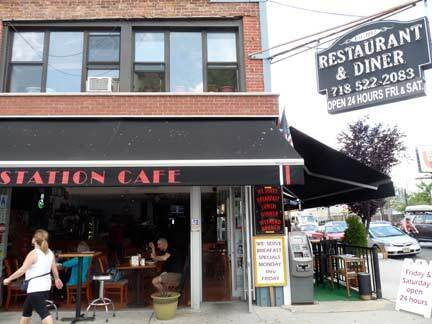 I am familiar with it as the House of Pain since I had two oral surgeries done there. 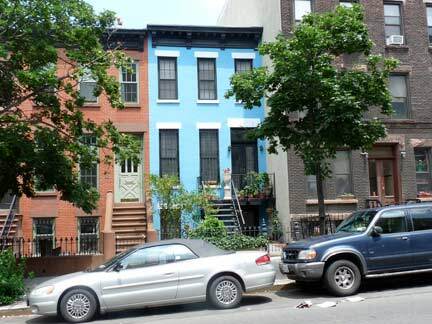 I took note of the 2-story residence painted a bright, robins’ egg blue between 4th and 5th, on Union. Adaptive reuse on the SW croner of 5th and Union is a bank building (hasn’t been a bank for so long, I forget which bank) that has become a gym. 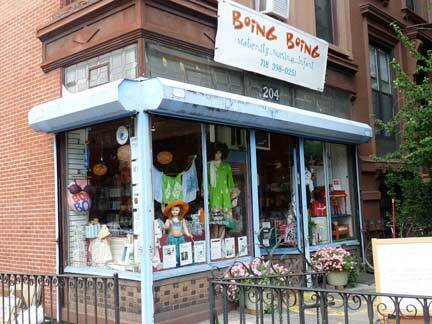 Across the street Brooklyn Industries clothing store occupies the storefront of a century-old brownstone building. 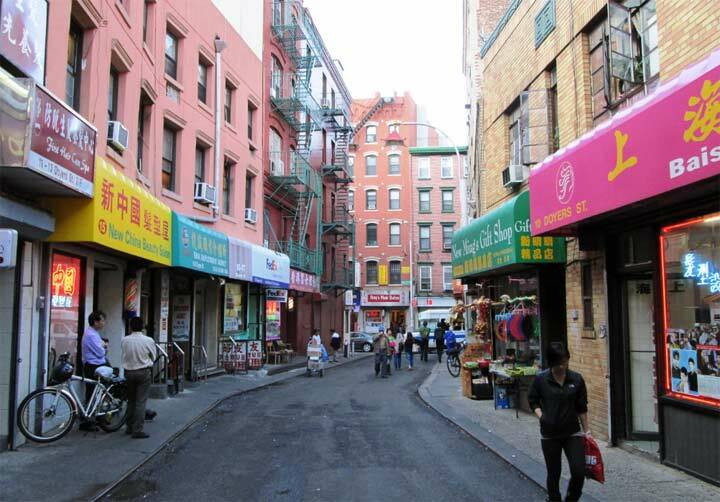 All through the 1970s and well into the 1990s, 5th Avenue was lined with burnt-out wrecks reminiscent of the South Bronx. The buildings were skeletons. 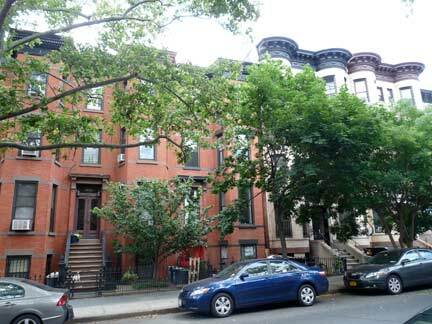 Even after the rest of Park Slope “gentrified” in the 1980s, 5th remained resolutely untamable. Gradual change came. 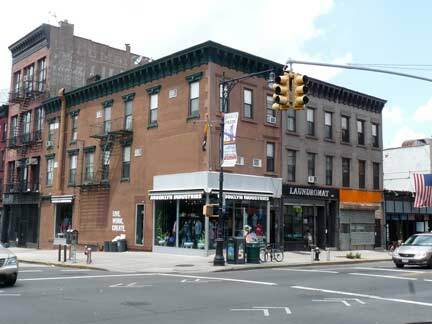 A Pathmark supermarket was built in 1980, and a bistro, 200 5th Avenue, appeared soon after that. 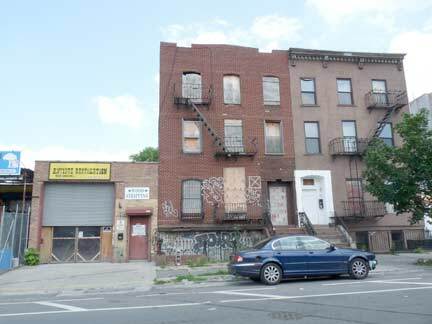 But the recovery didn’t kick in until the late 1990s and into the 2000s; even today, you will find a couple of abandoned buildings along northern 5th. As of 1977, the rector of St. Paul’s Church was not amused by the confusion. 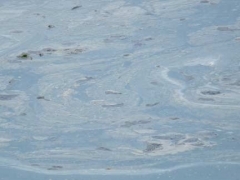 Having dealt with the confusion “40 times a week for 15 years,” he was sick of it. 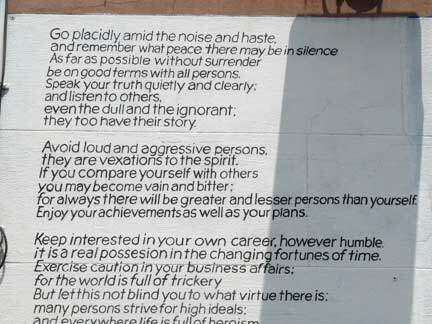 This misinterpretation has only added to the confusion concerning whether or not the poem is in the public domain. 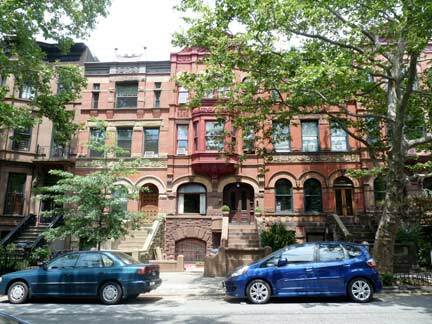 The blocks of Union Street from 5th Avenue to Grand Army Plaza are not landmarked, but they contain the eclectic brick and brownstone architecture for which Park Slope is known. 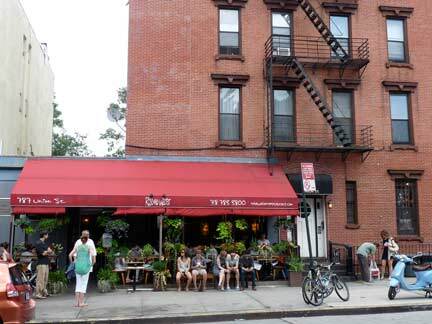 The gang’s all there at Rose Water, a bistro on Union just west of 6th Avenue, the residential filling between the two commercial Park Slope slices of bread, 5th and 7th Avenues. 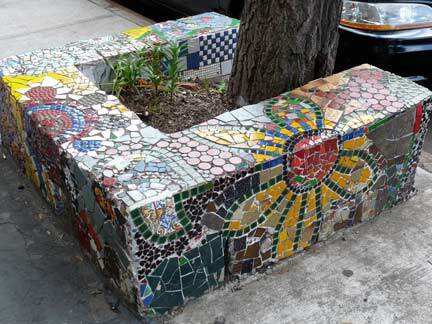 Across from the restaurant is a mosaic sidewalk tree barrier reminiscent of, but with not quite the panache, of East Village mosaicist Jim Power. 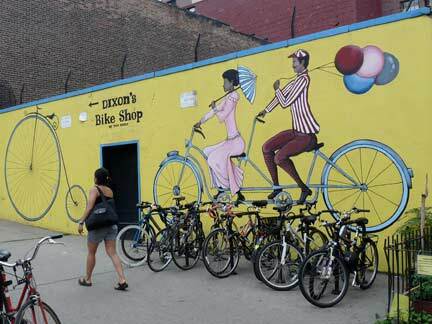 Dixon’s Bike Shop, which shares its building with a yoga parlor a couple doors away from a food co-op in a quintessentially Park Slope circumstance, has an interesting building mural a few doors down. 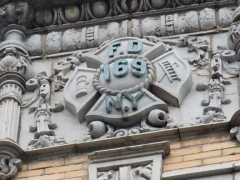 FDNY Squad Company #1, 788 Union Street, lost twelve men on 9/11/01. Sculptors Rick Boswell and Nyal Thomas Jr.’s “Out of the Rubble” was dedicated 3/11/2002. 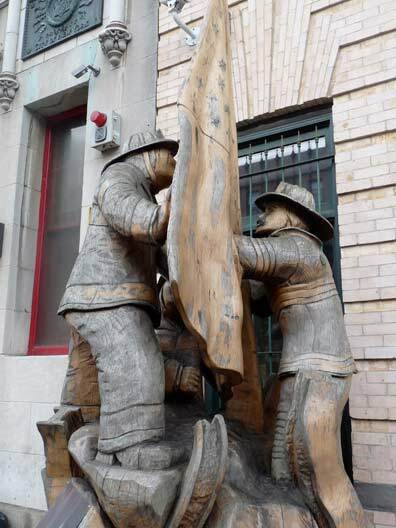 The carving, titled “Out of the Rubble,” depicts three firemen erecting a flag in the rubble of the World Trade Center after the Sept. 11 terrorist attack. 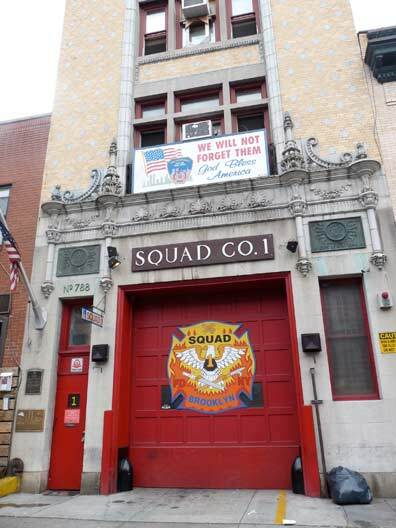 Squad One members were among the first firefighters to respond to the attack on the center’s twin towers. …Thomas, a former fire chief … began carving his tribute in October from an 8,000-pound piece of old growth Sitka spruce. He left Florence with it Feb. 23, 2002, towing it on a flag-bedecked flatbed trailer. 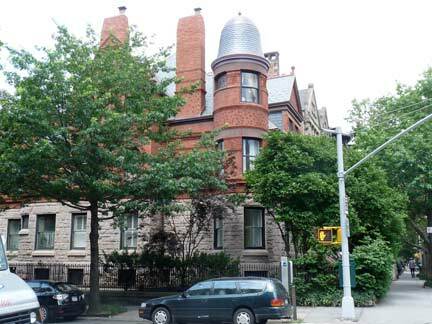 More samples of Union Street’s variety of architecture; attached brownstones from 889-893 between 7th and 8th Avenues, and the corner Queen Anne-style mansion at 70-72 8th Avenue, constructed in 1887 for a Mrs. M.V. Phillips. 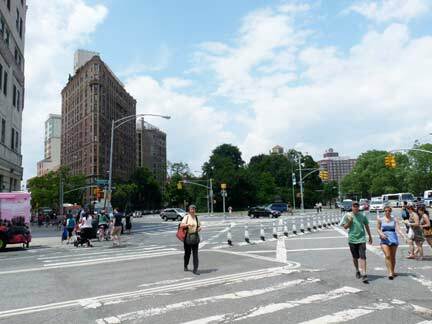 This part of Union Street ends at Grand Army Plaza at the northern end of Prospect Park. 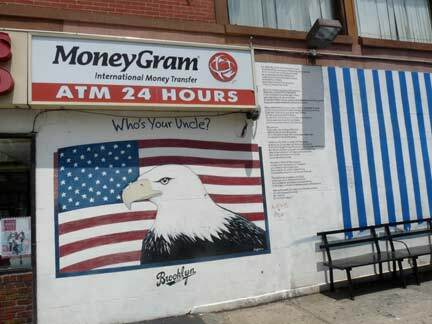 Monuments, a memorial arch and statues, most of which honor Civil War dead, rim the plaza, where Flatbush Avenue, Prospect Park West, Vanderbilt Avenue, and Eastern Parkway all meet. Brooklyn’s main library branch and high rise apartments also surround the space. 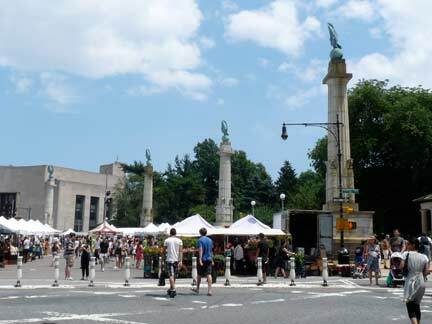 On Saturdays, the north end of Prospect Park is taken over by a farmer’s market. 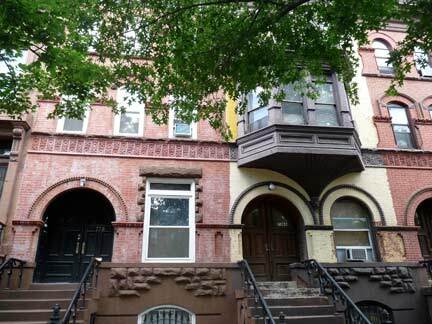 East of the park, Union Street continues through Crown Heights and into Brownsville, but I’ll leave that for another time. I was at the library at GAP and saw a photo exhibit, “Gowanus Wild.” You might find this interesting. The artist/photographer also published a book, “Gowanas Wild, by Miska Draskoczy. 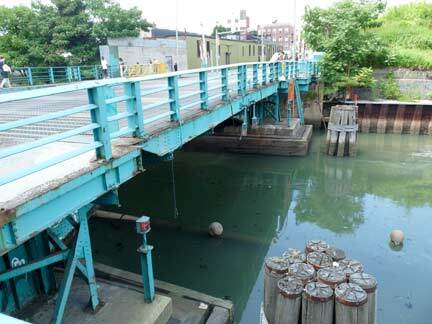 Photos of the Gowanus like you have never seen it, including a great heron (at a superfund site! ).